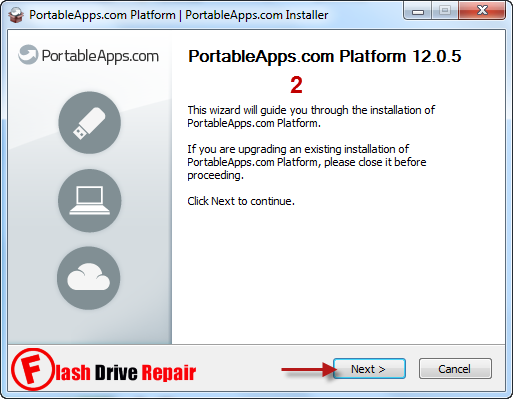 Learn how to run portable apps software directly from your USB flash disk .PortableApps.com Platform 12.0.5 allows you to install and manage your favorite software .Download PortableApps Platform 12.0.5 and take your favorite software with you anywhere . Hello my dear friends , Today i will explain a very important thing that most of you suffer from it .Some of us need to access some applications while he is in work or free time but he can't because companies don't let employee to install any other applications .I will give you a way to bring your favorite apps with you in everywhere you go .After reading this article ,you will be able to access to your application from anywhere .Learn how to install apps onto your USB and enjoy your favorite apps in your work . 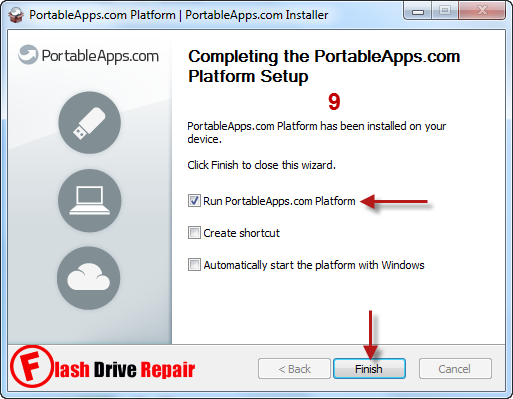 PortableApps.com developed a new platform for installing software in a portable form so you can access application faster and without setup . 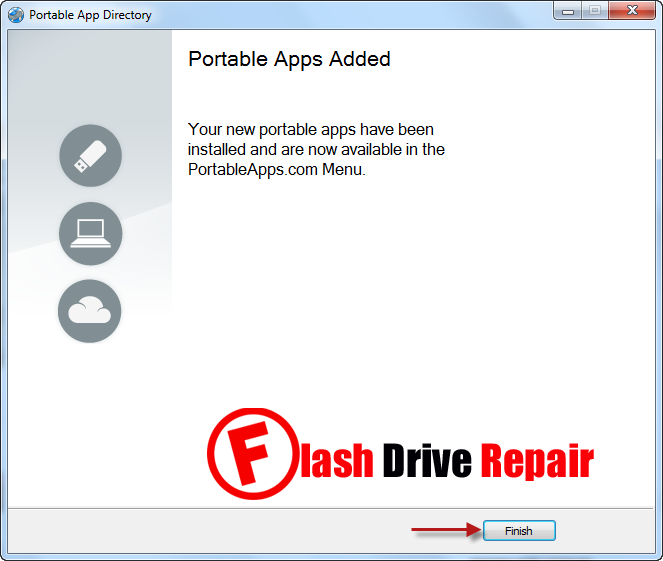 PortableApps.com Platform 12.0.5 is an freeware platform software.PortableApps Platform 12.0.5 allows you to install application directly to removable disk such as USB flash disk or in computer hard disk or uploading it to cloud drive or dropbox . PortableApps software 12.0.5 support installing hundred of famous software such as Skype ,Yahoo,Paltalk,ICQ,browsers like Mozilla Firefox ,office applications and more portable software .PortableApps Platform 12.0.5 provides many advantages for you as example , you can take your favorite browser with your bookmarks and plugin extensions ,your office package ,photo editor software ,music,games ,graphic tools and more portable applications . apps Directory to find and install new apps. 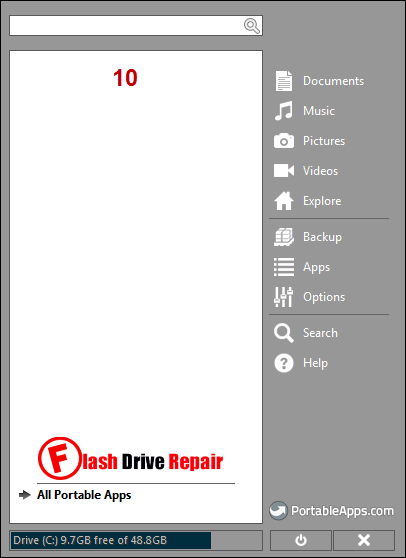 Search functions for your USB flash drive. For further details about PortableApps.com Platform V12.0.5 , please visit the official site of PortableApps.com Platform >> PortableApps.com << . 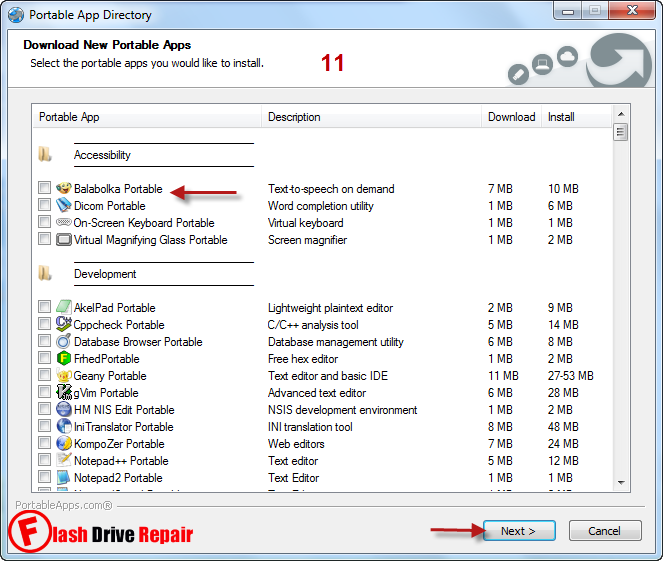 First you must download PortableApps.com Platform 12.0.5.rar software from download links in the end of this article . Get a USB flash drive with any capacity (4 GB recommended ) . 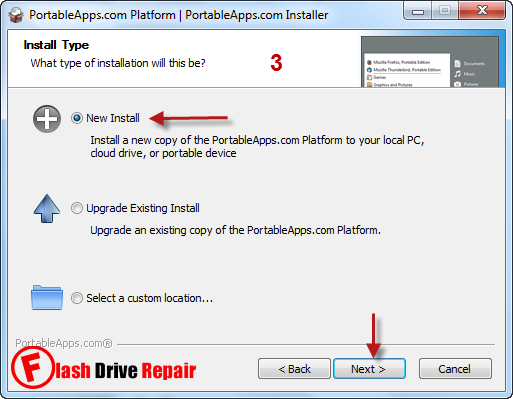 Format your USB flash disk with NTFS format . 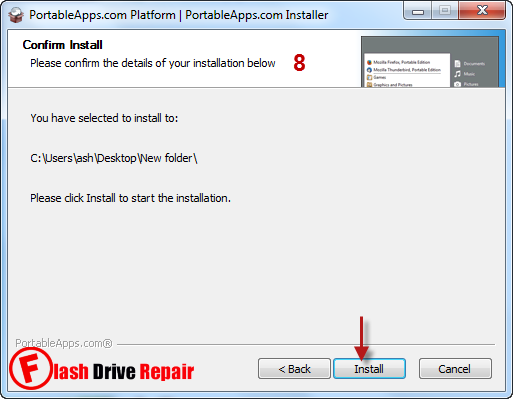 Extract PortableApps.com Platform v12.0.5.rar and open PortableApps_ Platform_12.0.5.exe and click to install it on your USB flash disk ,please follow the next instructions . 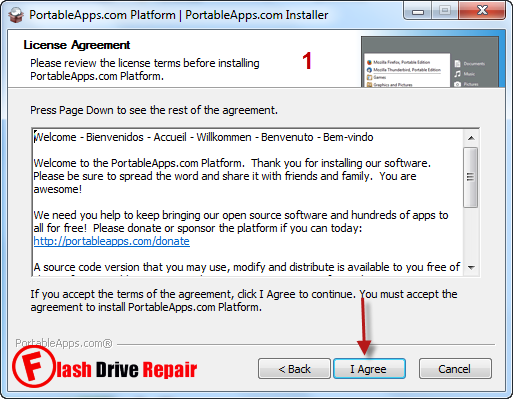 Click I Agree to begin installing PortableApps utility 12.0.5. Click New install then Next . 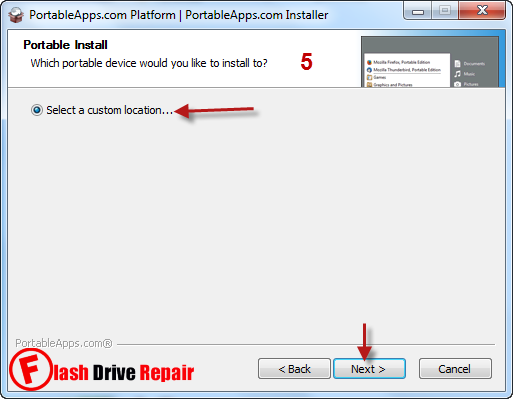 Choose which removable device you want to install platform on it , choose Portable then click Next . 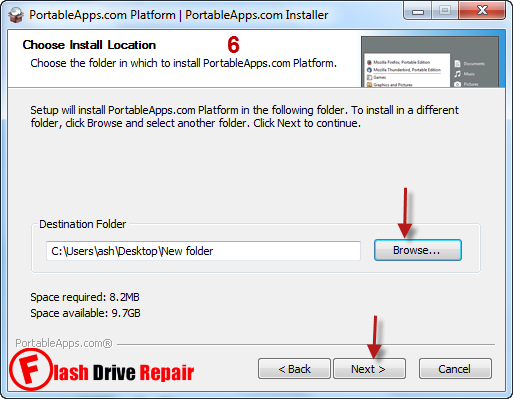 Click Select custom location to choose installation folder destination then click Next . Click browse to choose the destination location for setup . Choose the location of your USB flash disk . 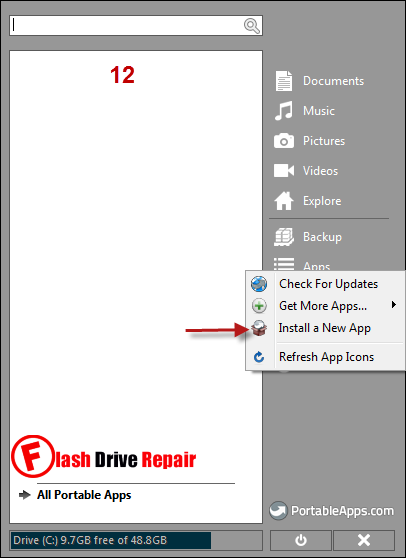 Choose your flash drive then OK then next from the main menu . Now installation is finished ,Click Run potable APPS platform , then Finish . 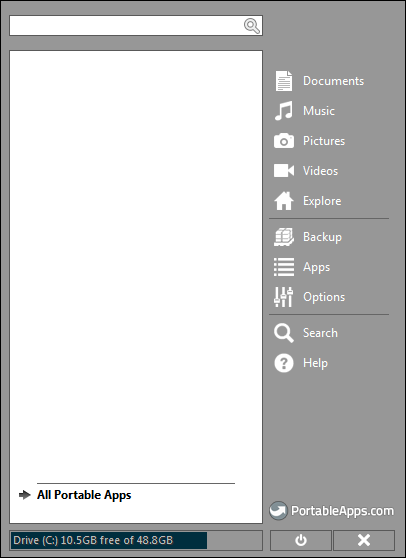 Now this is the interface of Portable apps platform v12.0.5 ,it's look like Windows start menu . 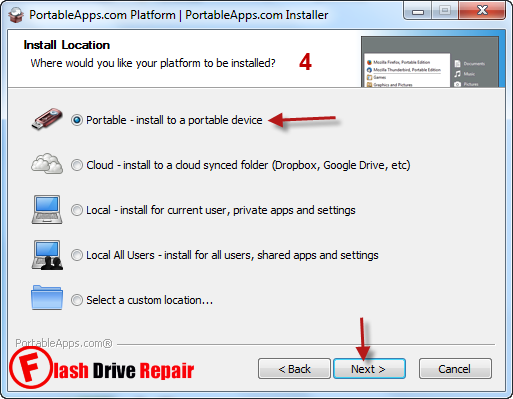 Open portable APP utility on your USB flash disk then from the right menu choose APPS then from sub-menu choose Install a NEW APP. 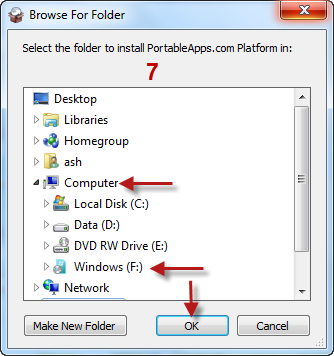 Software will open a window to determine your portable app location , choose it and Click OK .
Another Way to install portable apps from Portableapps software by choosing Get more apps then choose by category or any classification . As shown in the picture , choose your portable software then click next ,Portable App software will automatically download your selected portable app and setup on your usb flash disk or you can go to the official site and download it manually from here >> Download portable apps << .